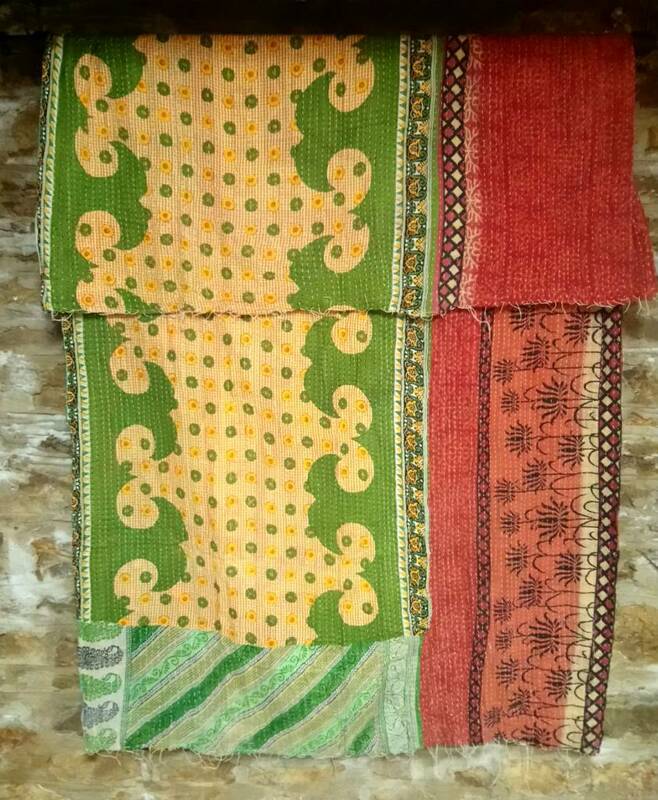 Kantha Sari Throws imported from India. 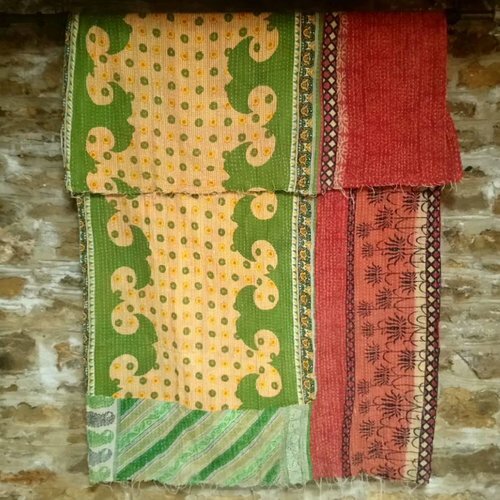 Each blanket is different + one of a kind, and many have different fabrics on each side. 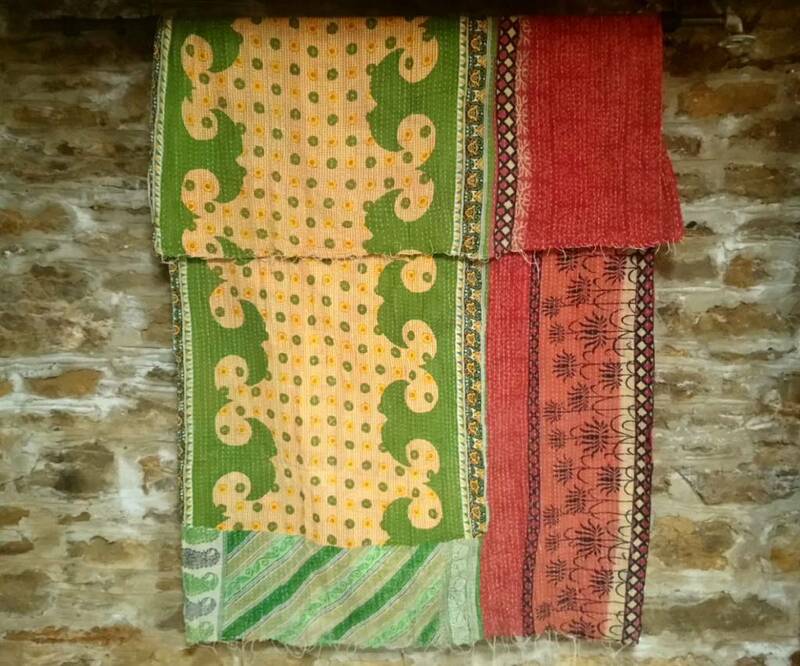 The blanket you see is the blanket you will get. Scroll down for more info. Approximately all one size - 4'4" x 7'4" - about the size of a twin bed. Wash and dry - the colors won't bleed and they won't shrink, they will only get softer. Perfect gifts for graduation, babies, weddings and holidays. 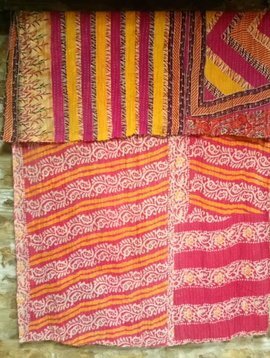 Use over a bed, on the sofa, as a wrap on the airplane, for picnics & football games, or as a tablecloth or even curtains!! They roll up very small so they are great for traveling. 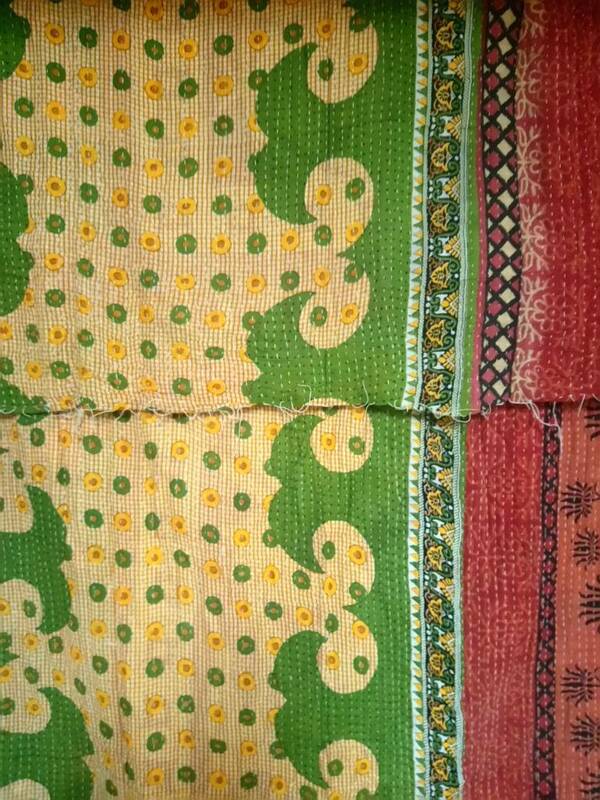 Some have a patch which adds to their character, and occasionally there will be a blemish in the fabric. Ships for $3 - all items ship for $3, all of the time. 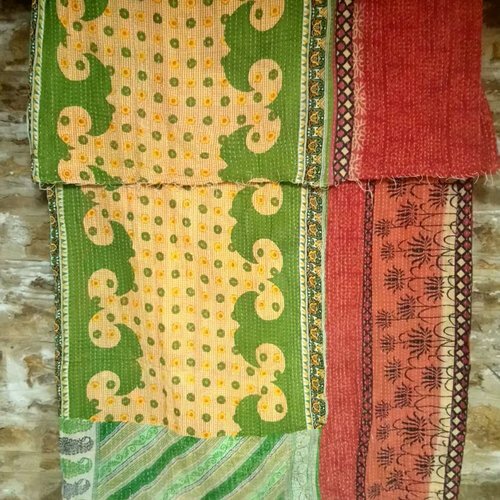 In West Bengal and Bangladesh, a sari blanket is an ancient art form called a kantha - meaning old cloth. 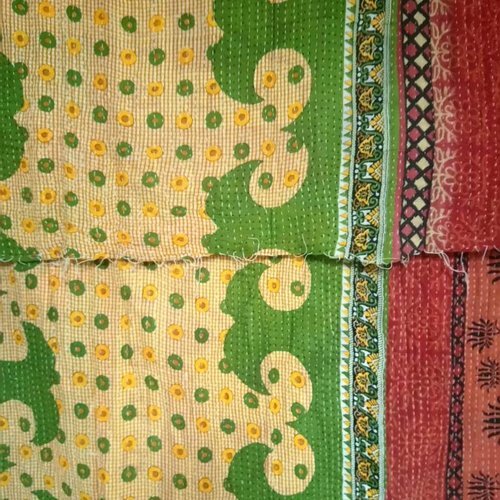 Women motivated by poverty and a need to keep their families warm have made kantha for hundreds of years.